Let me get this straight- a human voice is a mono instrument. And then you might asked, “Hey but I’ve seen engineers using two microphones, like in a choir, jazz ensemble or classical performance, isn’t it an example of recording vocals in stereo”? This question requires an in-depth explanation. First, an audio recording signal can either be mono or stereo. Mono is one channel audio while stereo is a two channel audio. A digitized audio recording signal is the one stored in your computer. Second, a sound source can either be single or multiple. A single sound source is obviously originating from a single instrument at a single location. A multiple sound source originates from different instruments and location. This sound source is outside your recording software. Common example of sound source is the music or the singing performance that you would like to capture. Failing to understand mono and stereo can even confuse you further. It’s actually very simple. Mono – one sound source, one location. This is the simplest way to understand a recorded mono signal. Now its very clear, if you are recording the vocal performance of a single singer at the vocal booth, you should be recording it in mono because the nature of the signal is mono. One common mistake is that even though the sound source is “mono” in nature, you are recording it in stereo. 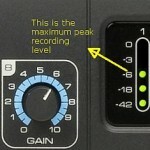 This mistake originates in your recording software or audio interface settings. If the sound source is mono, you should configure your digital audio recording software to record it as mono as well. This is easy to configure in most software. For example, in this Reaper DAW tutorial; you will learn how to configure Reaper to record the vocals in mono. Stereo– two distinct sound sources, different location OR multiple sources in different location summed up to two audio recording signal (left and right). If the vocal performance is more than a single sound source; of course the nature of sound is not mono anymore; instead this is where you start treating them as stereo. A classic example is choir performance(two or more singers performing together). If a person is standing in front of the performing choir(such as the conductor); that person can hear the multiple sound sources with sound waves entering both on his left and right ear. 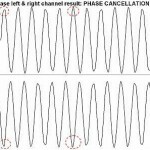 The combined effect is stereo and distinct “mono” sound sources enter the left ear and the right ear. There are actually two ways the engineer can capture this performance. First method: The engineer will place two microphones in front of the choir (for small choir such as less than 15 persons). Each of this microphone is equivalent to one mono signal. These microphones are then plugged into the mixer. Using an outboard mixer; the engineer will mix these two mono signals and then summed it up to “stereo”. The engineer can then route this recording to a recording software. As a result, the audio recording is in stereo.